This is my brain on genealogy. My year’s expenses devoured my year’s salary (as principal of Rushford Academy), and left me as poor today as one year ago today. Serena does not dispose of much of her landed property, though, of course. Just how much landed property did Serena have? De Beer’s 1869 Atlas of Allegany County, New York mapped residences, illustrating that the couple, or rather, Serena owned three properties – the Gothic house on Alfred University’s campus, a farm a few miles south in Independence, and a house on Main Street, catercorner to Rushford Academy. How did Serena come by these properties? On her teacher’s salary? Hardly likely, since Ira notes that his wages didn’t cover expenses. Mutter, mutter….. Far more likely that Serena received land and property from her parents, Samuel S. and Nancy Teater White, who had been successful farmers and business owners in Whitesville, Allegany County. But how had they managed that in one generation, on those rocky Appalachian hills, removed from any highways or railroads? And what attracted them to western New York in the first place? In the space of five minutes I found myself in a web of my own, sticky design. This is my brain on genealogy, just a web of ideas and places and people, stuck together in a mass of interconnected strands. Not til I imagine that I am a Super Fly, using this mess as a trampoline, can I make a bounding leap of faith and see the story hidden in its design. As the atmosphere became more hostile to those not adhering to the conventional Christian sabbath, the sabbatarians began to migrate westward. They moved in clusters, establishing communities in which they were free to work six days and worship on Saturday. Oliver and Cynthia left Hopkinton, RI, with their children including Samuel, before 1810. They lived for a short while in the 7th Day Baptist community of Brookfield, Madison County, New York, before moving on to Alfred, another center of sabbatarians, before 1816. Here, young Samuel met and fell in love with a young school teacher and early organizer of Alfred’s Seventh Day Baptist Church, Nancy Teater. They married in 1819 and moved to a new community south of Alfred, near the millson Cryders Creek. 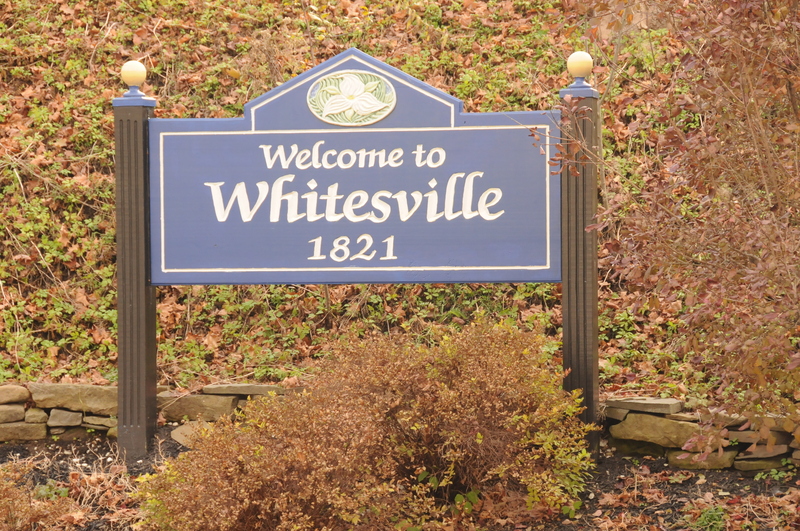 Within their first decade, Nancy and Samuel had established a farm, started a family, provided leadership for another Seventh Day Baptist congregation, and opened a hotel in the town which soon bore their name – Whitesville. YAY for Serena, hanging onto her riches! I’m waiting for Pat at her dentist office and keep dozing asleep…we expect a thunderstorm tonight. Yum! She was Very Bad yesterday…after promising she would never go to the attic if I was not there, guess where I found her after I came home from walking the neighbor’s dog? So how am I supposed to get a break? I love this post — the way you combined you’re initial quote with a beautiful and fitting picture grabbed me and forced me to read the entire thing. I also learned something about 7th Day Baptists I hadn’t heard before. Thanks, Kathy! I struggled with this post for three weeks! 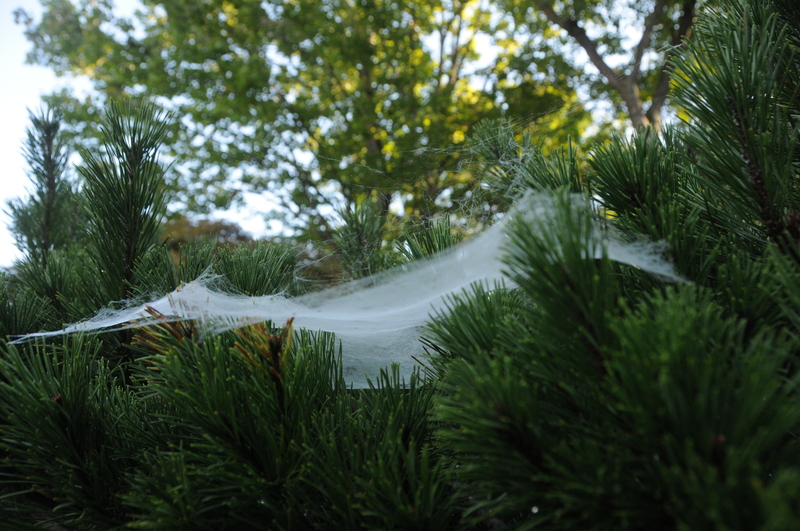 When I snapped that spider web during a photography outing I just knew it represented this genealogy head of mine! The story I wanted to tell next spun out after I uploaded that shot. Curious how all the hobbies intertwine…..